(CBS CHICAGO) — A City Of Chicago worker stands accused of stealing 500 feet of copper wire from Midway Airport. According to Cook County prosecutors, David Coates worked at Midway Airport where he pumped gas. On Tuesday, Coates was captured on video leaving his work site in his truck to cut pieces of runway copper wire. Chicago Police investigated the thefts and found that he had taken approximately 500 feet of wire since Aug. 12, prosecutors said. Coates allegedly had taken the wire, valued at nearly $700, and sold it at a scrap yard. Investigators also recovered a pair of wire cutters from the defendant when they confronted him about the thefts. 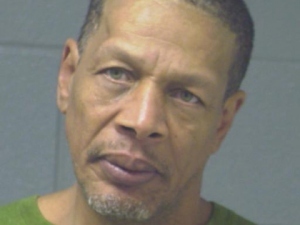 Coates, 57, of Chicago was charged with one count of theft and is facing up to five years in prison if convicted. Bond was set at $25,000. The Department of Aviation was quick to say that none of the thefts impacted airport operations. Department spokesperson Karen Pride said that the suspect worked for the city’s Fleet and Facilities Management department at Midway, pumping gas, and had been assigned to Midway for some time. Pride said the wire was in storage at a Midway maintenance facility. Bond for Coates has been set at $25,000.